The Board and staff of United Way of Ventura County are excited to share this Executive Summary of our recent Strategic Planning process and the ultimate Strategy Roadmap (full document available upon request). We hope it answers many of your questions about who we are and what we are committed to. We started with refreshing our vision and mission. These will be our guideposts as we implement this three-year process. Our vision: Ventura County residents achieve their full potential in education, financial stability, and health. These three areas of focus — education, income (financial stability), and health have been a part of UWVC transition to the Community Impact model started in 2005. These areas still resonate for our stakeholders, the Board, and staff as the areas where we can add the most value. Our mission: To improve lives by inspiring and mobilizing the caring power and resources of our community. Since our experience with the Thomas Fire and Flood, we added the word inspiring to our mission. We humbly stepped up to the task of inspiring and mobilizing the financial resources needed to help over 500 families during the most urgent time in our community. Big Questions are those opportunities or challenges to which an organization must respond. The Thomas Fire and Flood of December 2017 and January 2018 propelled us to respond by creating The Thomas Fire and Flood Fund. It was an incredible testament to the caring power of the community that we were able to raise over $4.5M to help the victims and families of the fire and flood. Through this experience, the Board of Directors and staff were encouraged to see if there was a way UWVC could be helpful in the housing and homeless arenas, especially for the Thomas Fire and Flood victims. From many generative internal conversations and external discussions, we determined that we need to explore this further. Exploring and discovering our role in the housing and homeless issue areas. Completing an R.O.I. on all our existing programs and initiatives. Improving vital communication to the community about who we are, what we stand for, how we are achieving impact and living up to our mission. Continue participating in the Continuum of Care Board to learn and participate in the work already being done. Continue with research and exploration with key community leaders and solicit ideas about how United Way could be of assistance. 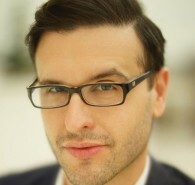 Do solid due diligence. Determine near term what role and commitment United Way will give to the two new issue areas – Housing and Homeless. Explore scalability and viability of United Way of Los Angeles’ Home for Good, a collective plan to end homelessness and bring it to Ventura County. 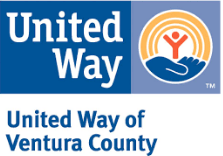 Take an immediate review on all current United Way Ventura County programs, initiatives, and collaborations to determine alignment with our mission and vision, measurable impact and outcomes, sustainable income streams and other criteria. Dramatically improve our communication to the community through community meetings, individual discussions, Open Houses and improved social media presence. As we approach our 75th anniversary in 2020, we are proud of the accomplishments of the past, and there is so much more to do. We cannot do it alone. The caring power of the community is essential to all our success. Will you join us? Please Give, Advocate or Volunteer. We welcome your participation.